When searching for your dream home it’s important to have a set of criteria of what you’re looking for, but it also pays to look beyond certain cosmetic features that turn a lot of other buyers off. Certainly do not overlook major defects and expensive structural flaws like rising damp, leaking roofs or termite damage during inspections. When looking through homes be mindful of the potential adaptability of the floor plan and that garish visual features that may seem almost impossible to ignore can have quick inexpensive fixes. Avoid running the risk of missing out on your ideal home at an ideal price by keeping the following solutions for common homebuyer turn offs in mind. So the kitchen, dining and living areas are all separate, pokey little rooms and you had your heart set on an open-plan living space? Before walking away, consider the potential to simply open up a wall or widen a doorway in between the kitchen and living room. While working through a mini-renovation with some clients recently we opened up the wall between the kitchen and living areas, and because the home was already about to undergo a few cosmetic fixes including new flooring and painting, to remove almost the whole wall cost an additional $1,000. Not bad considering the transformation of the floorplan and living space, not to mention the impact it would have on the family’s day-to-day living. Wall removal between kitchen and living areas. Image: Larissa Davis, Lewisham Interiors. You’ve found a beautiful old home and the asking price is great, however there are no built-in robes in any of the rooms other than the master. The bedrooms are small, so to incorporate additional built-in cabinetry would eat up too much valuable floor space, but if there is an extra bedroom that you don’t really need, consider adjusting the floor plan. If the configuration of the three bedrooms is positioned side by side, consider the potential to convert the centre bedroom (the one you don’t really need) into two walk-in robes for each bedroom either side. That way there’ll be ample storage capacity for both while taking away nothing from the space in the bedrooms. If your ideal home lacks an ideal aspect or has large overhanging eaves and small windows, it may appear dark and depressing inside. Look at the potential to add some skylights, as these will have an enormous impact on lighting. Should it be a double storey home, consider expanding existing windows especially in downstairs areas and look at where you could include additional glazing. By adding internal and external glazed door panels you’ll benefit from light flooding through to other rooms. Also think about frosting certain panels where privacy is required. 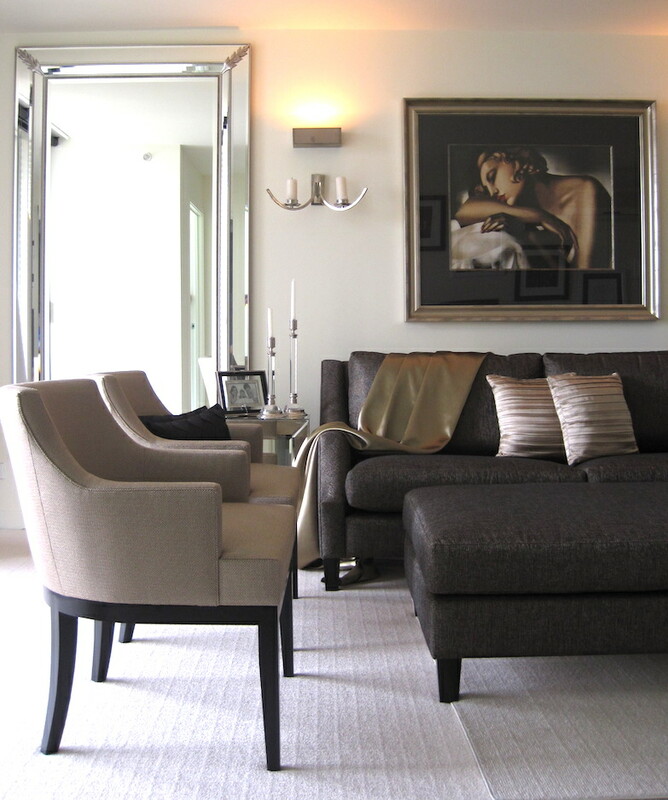 Large mirrors are an instant quick-fix to reflect the available natural light in rooms. Amending of window coverings can help gain far more light where the existing old furnishings were designed to cover 30 to 50 per cent of the windows. A once dark kitchen is now flooded with natural light with the addition of a long bi-folding window. Image: Larissa Davis, Lewisham Interiors. ‘Lots of storage’ is one of the most common requests we receive when redesigning homes, so before dismissing your ideal home which may present with very little in the way of storage, consider the potential for maximising the current storage areas and assess where additional storage may be possible. The redesigning of wardrobes can almost double the amount of usable space inside. The addition of a full wall of joinery to completely surround a TV area will provide a good amount of additional storage, as would the extension of kitchen overhead cupboards up to the ceiling and drawers inset into the kitchen kickboards. The building in of storage cupboards to completely surround a bed either side and above the bed is an area where very little of the usable room space within a bedroom is disrupted. Another question to ask yourself is ‘are there attic roof storage capabilities?’. If so, the inclusion of a pull-down staircase can provide easy access to a large abundance of extra space in the roof. Peeling orange laminated bench tops and patterned beige tiled splashbacks coupled with pink vanity basins, stained baths and shower bases can expose the age of a home. But, should a complete overhaul be too costly an exercise, there are sensible cosmetic amendments which may be implemented to uplift and bring these areas back to life. 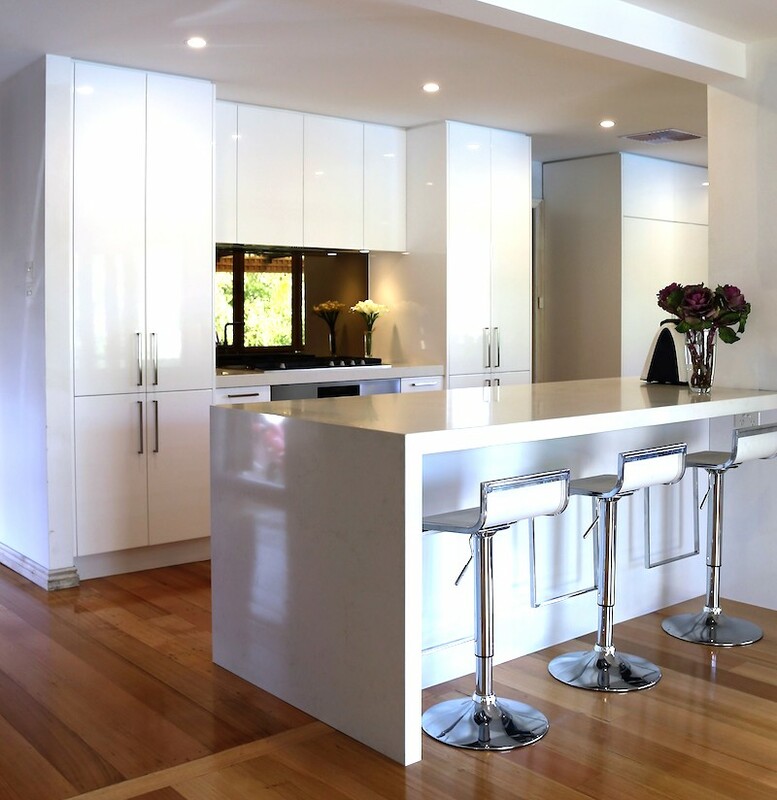 To add a 12mm quartz stone overlay onto an existing laminated bench and paint splashback tiles rather than replacing them are two quick-fix solutions. Updating old appliances will add to the appeal of a kitchen as well as allow for more efficient energy use. 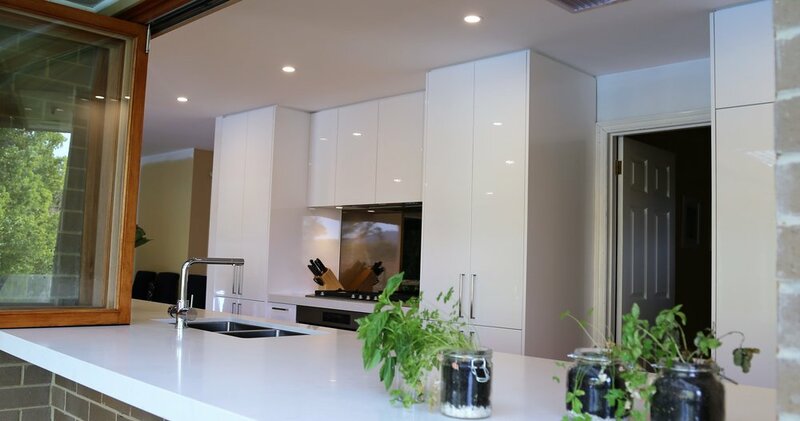 The changeover of tapware, accessories and door hardware in a contemporary style and finish will elevate the level of quality and overall appeal of existing cabinets. Paint cupboard doors and drawer fronts for an instant refresh, include a large mirror set over the vanity unit in a bathroom or whole wall, along with a thorough tile and grout clean-up to completely transform a tired space. Depending on your taste, brick walls may or may not be on your list of desired features. If you absolutely loathe the heavy, busy look of brickwork (especially if your home is dark with short ceilings) then to plaster over the brickwork is an inexpensive option which is not too difficult an exercise. Another solution is to render over the brickwork as this can make for an interesting textured effect. Alternatively, should the tall plaster walls in your dream light-drenched warehouse apartment look bland, then there may well be brickwork in behind, so take a peek and consider unveiling this raw and authentic textural feature! Interior paint colours can have a significant impact on the appearance of a home, especially if they’re a murky olive green or bright pink. I once walked into a home that had a different colour on every single wall and ceiling throughout. Not one wall surface was the same, nor were they subtle colours! However, try not to fall into the trap of turning your back on a home because of gaudy colours. So long as the structure is intact and there are no major cracks or visible signs of mould then a new coat of paint isn’t going to take too much effort or cost to change, especially if you can do it yourself. The same goes for walls with garish, busy wallpaper. To remove this is a fairly simple exercise as is replacing it with something more to your liking. Outdated carpet with worn traffic areas, dated floor tiles, heavy dusty drapes and stained blinds are all unfortunate possibilities in many a home that presents with old-world architectural charm. While not exactly one of the cheapest aspects in a home to change, the flooring and window furnishings are cosmetic rather than structural, so to simply replace these is relatively painless. Take a peek under the carpet and see if there are timber boards which would polish up beautifully. Also save money by asking yourself whether every single window in the home really needs to be furnished where insulation and privacy are not a big concern (i.e. in living rooms and hallways). New carpet and a repaint transformed this tiny apartment. Image: Larissa Davis, Lewisham Interiors. For more tips on what to do and look for when house hunting here are the top five items you need to take to your next property inspection and seven common problems to look out for with older homes. Larissa Davis, principal of Lewisham Interiors, has a wealth of experience in high-end interior design spanning over 20 years and has achieved recognition for producing sensible design solutions with a difference offering the highest quality standard. Specialists in all aspects of interior design and decoration, the team at Lewisham combine imagination and creativity to redefine the functionality and aesthetic appeal of all their interior projects, transforming residential, multi-residential and commercial spaces that are to be enjoyed and experienced. I have done all of that except for outdated floor tiles that would stand an atomic blast. They cover a very large space. New carpets helped to tone it down. Any suggestions? Can you place floorboards over the tiles?